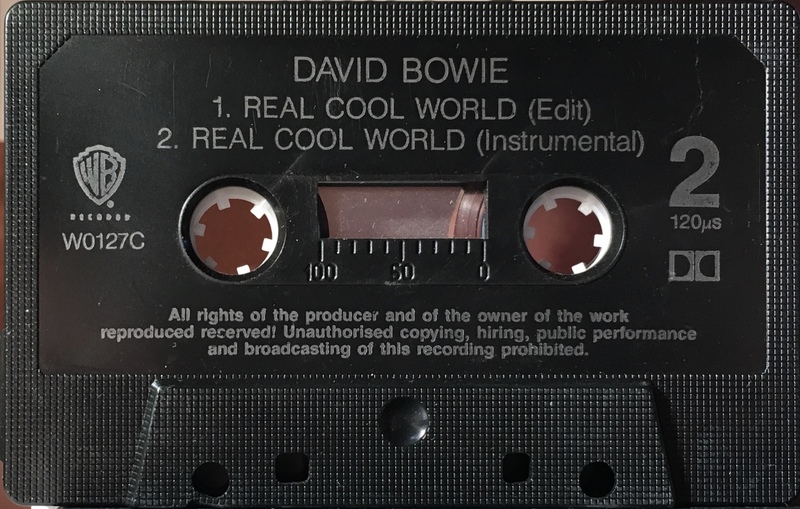 Real Cool World: UK; Warner Brothers, WO 127 C/ 5439-18808-4; 1993. Full picture cover with white spine, rear and inner panel on folded, treated thick paper. The rear of the cover is blank . Track list on rear and inner panels. ‘WB’ logo on spine and cassette. White ink printed directly onto black shell. 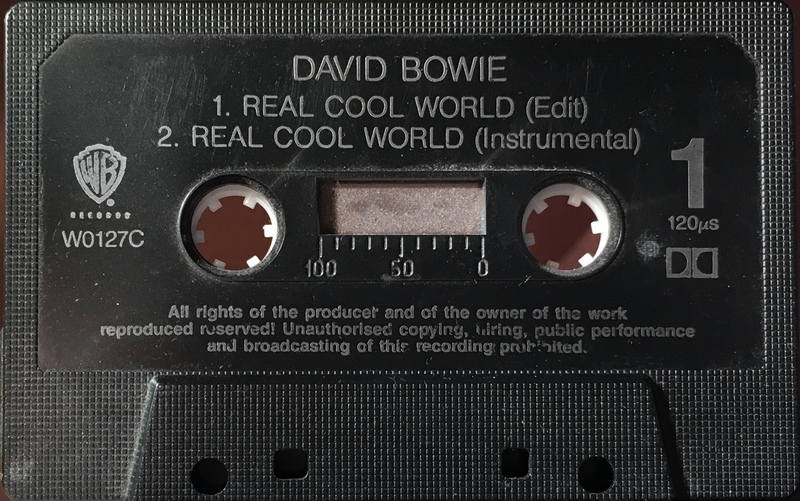 Side 1: Real Cool World (edit); Real Cool World (instrumental). 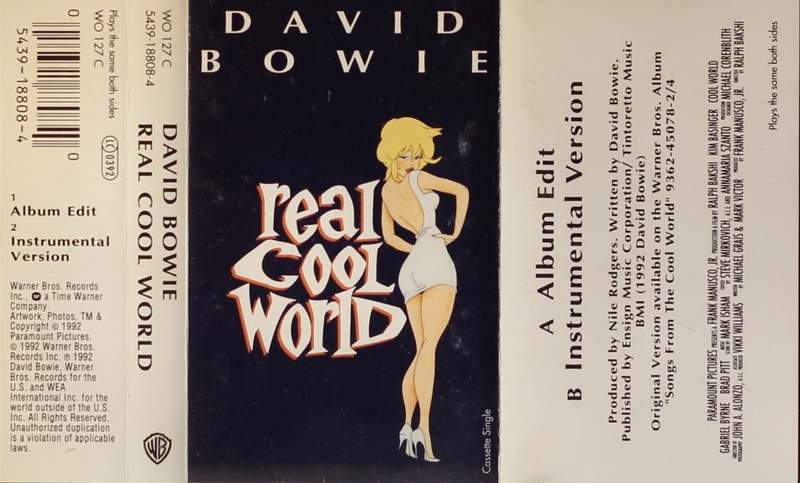 Side 2: Real Cool World (edit); Real Cool World (instrumental).